Join us as the Queen of the Rocketmen and her band of merry men fight the evil air pirates in the air above the South Pacific. Becuase of the extreme complexity of the challenge I want to provide some pre-production boards to all participants to help them & inspire them. 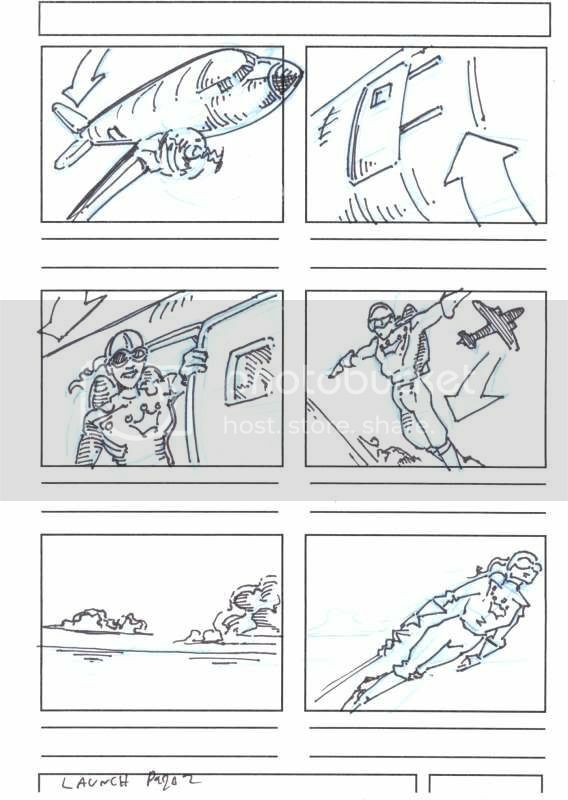 IF A TEAM USES YOUR STORYBOARD, THEY WILL HAVE TO GIVE YOU CREDIT. 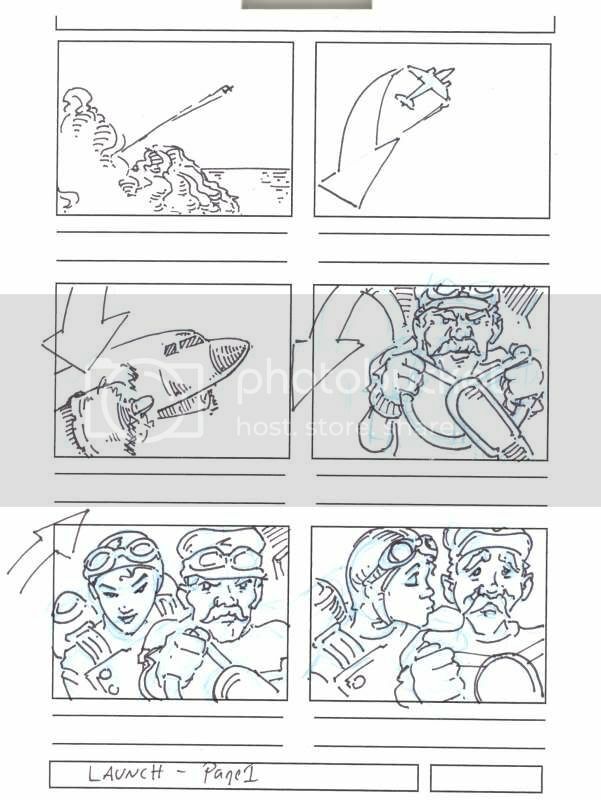 Here is a nice Storyboard TEMPLATE for those who wish to use one. 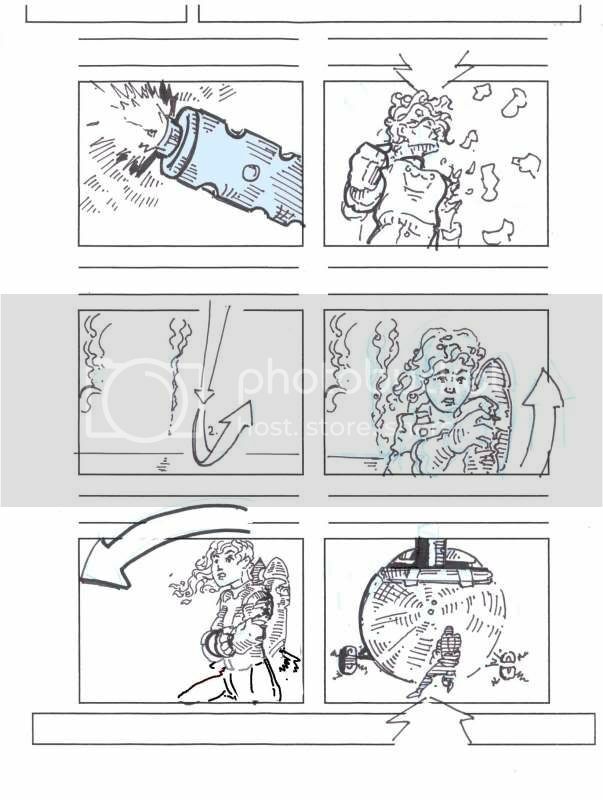 So if you want to do a storyboard, that people can use, post it here. I hope I got this right. 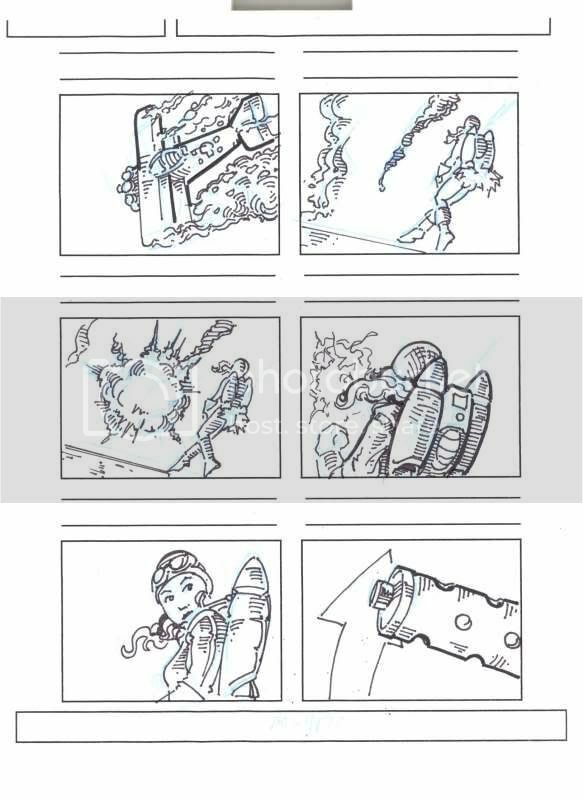 I tried to create a storyboard for a short sequence. I took some ideas and models from the HC Modeling Challenge (the big airship).